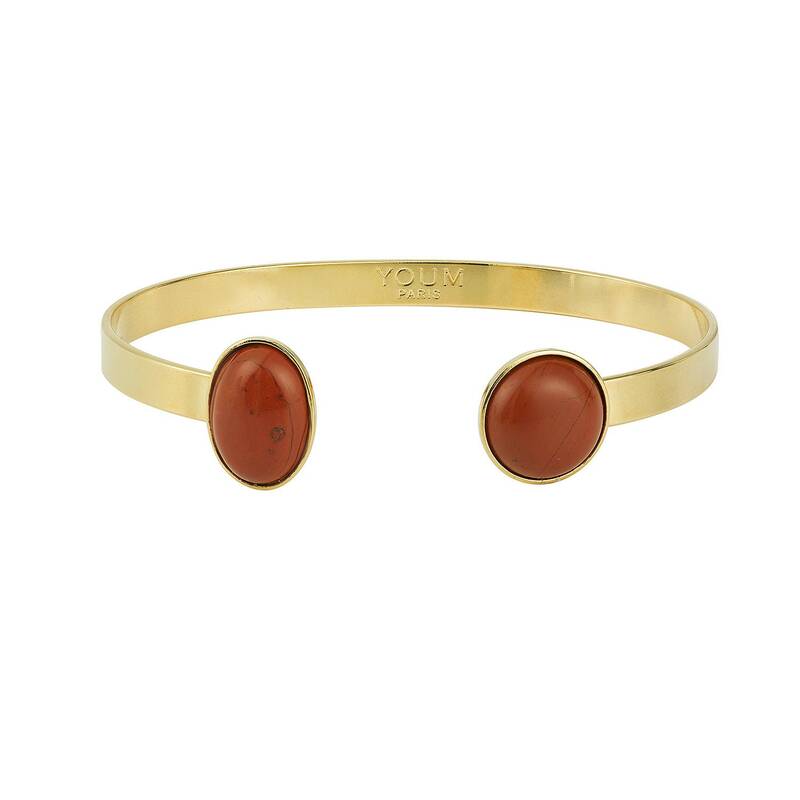 Bracelet with a 24 karat gold finish adorned with two jasper gemstones cabochons. 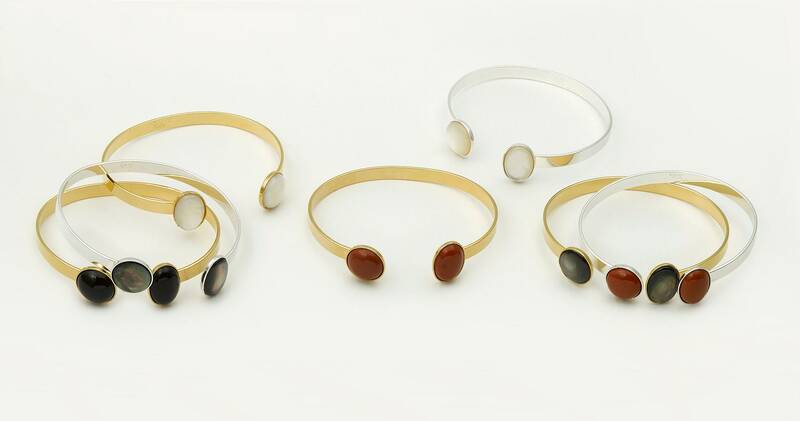 Each jasper semi precious stone is unique. All Youm Paris jewelry are delivered in a white travel pouch. Pour offrir : Please let us know if it is for a gift and we will include a bag.